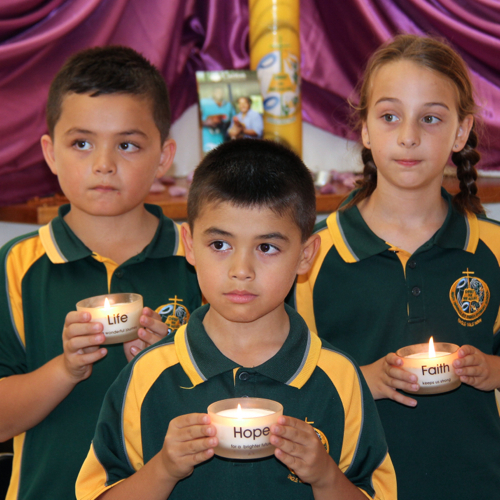 The celebration of Prayer and Liturgy is an important and enriching experience at Mary Immaculate. Students participate in both formal and informal prayer on a daily basis – as a whole school, within each classroom and individually. Liturgies and celebrations of the Eucharist are held regularly throughout the year. Family, friends and the wider parish community are an important part of our Liturgical celebrations.